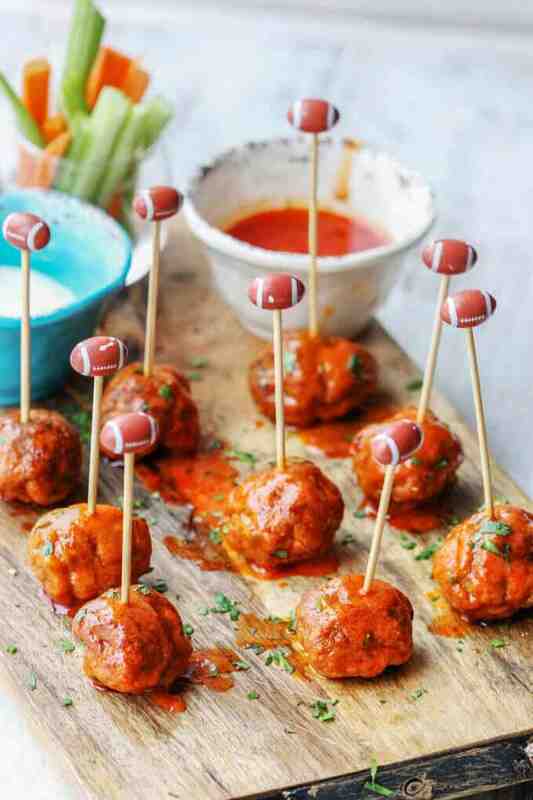 Buffalo Turkey Meatballs are a perfect appetizer for the Big Game. They’re also a lighter alternative to a traditional chicken buffalo wings, not only because they have less fat, but also because they’re baked, not fried. Not to mention they’re also super easy to make. I love it when he participates in the front-end creativity for this blog. He even suggested that I make my buffalo cauliflower; which I sometimes make for us (shocking right? coming from someone who doesn’t like a lot of veggies). 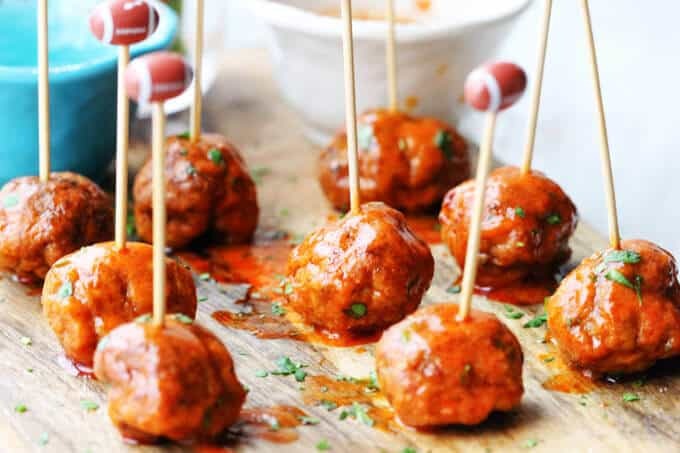 But then I thought about it and remembered that few years back I made buffalo turkey meatballs for the big game and everyone was raving about them. Open Face Mushroom and Cheese Sandwich. 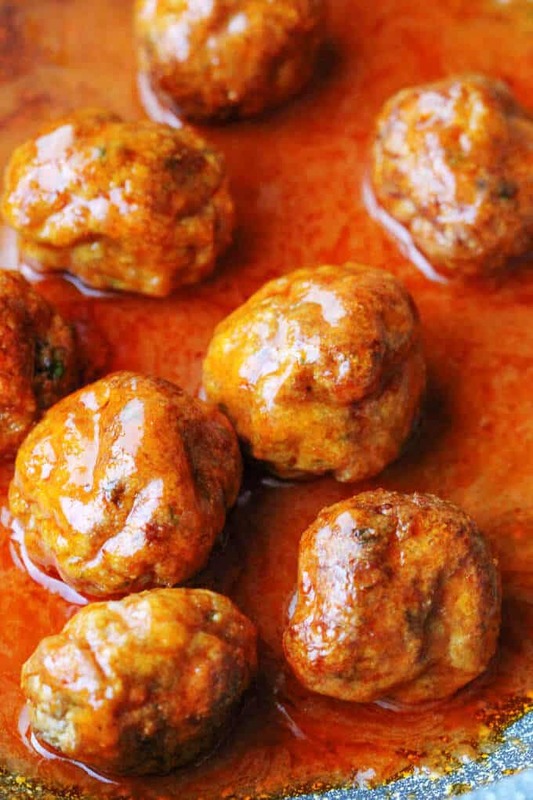 If you have all the ingredients ready, it just takes a few minutes to mix the meat and create little meatballs. The oven will do the rest. During the creation of this post, I sent my husband a photo, while he was at work, and he sent me back an angry emoji. He clearly wanted one immediately and apparently, I was torturing him. I ate two…sorry, couldn’t resist. 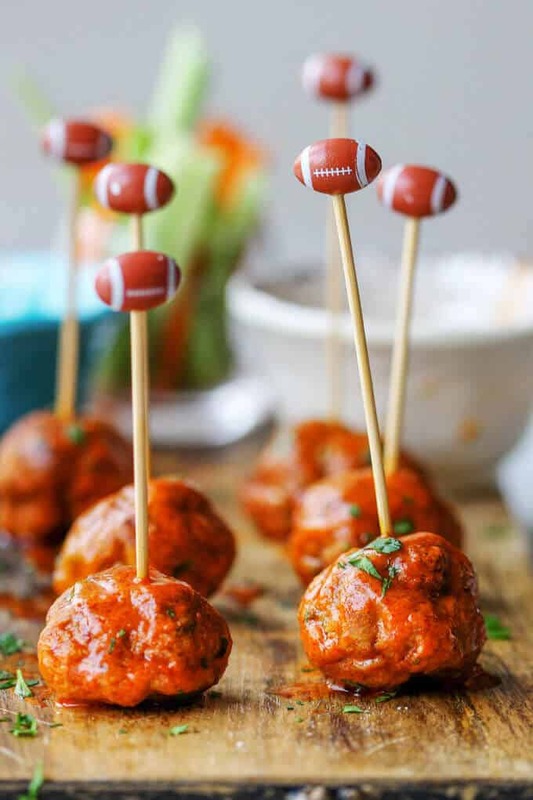 But I pacified him with the promise of some more in the fridge, that we could have that night as an appetizer, to start to get ready for the big game. For sure I intend on making them again this coming Sunday. They’re SO good! 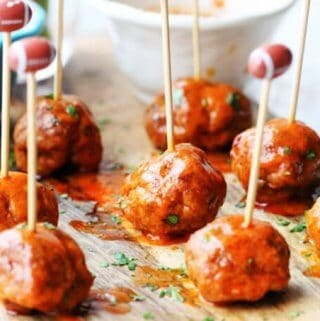 I guarantee that if you host a gameday party and pass these buffalo turkey meatballs out, they’ll be the first thing to disappear. 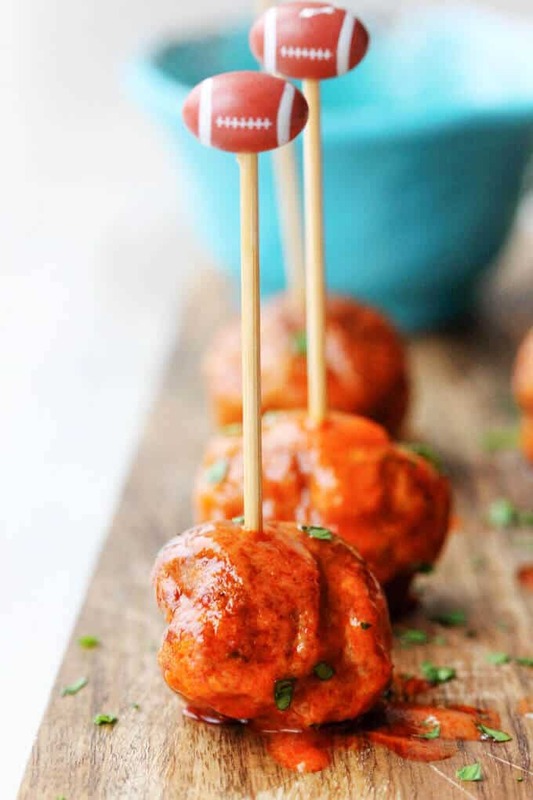 Buffalo Turkey Meatballs are a perfect appetizer for the Big Game. 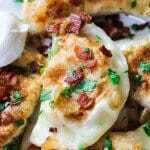 They're also a lighter alternative to a traditional chicken buffalo wings, not only because they have less fat, but also because they're baked, not fried. Not to mention they're also super easy to make. 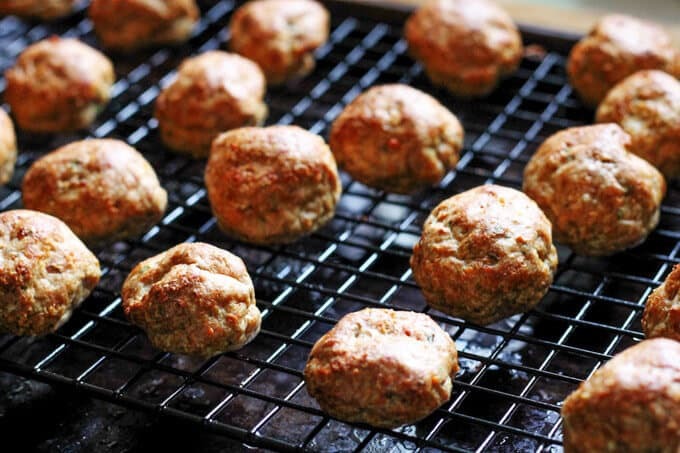 Serve your buffalo turkey meatballs with a side of blue cheese dressing and cut up celery and carrot sticks. Enjoy! 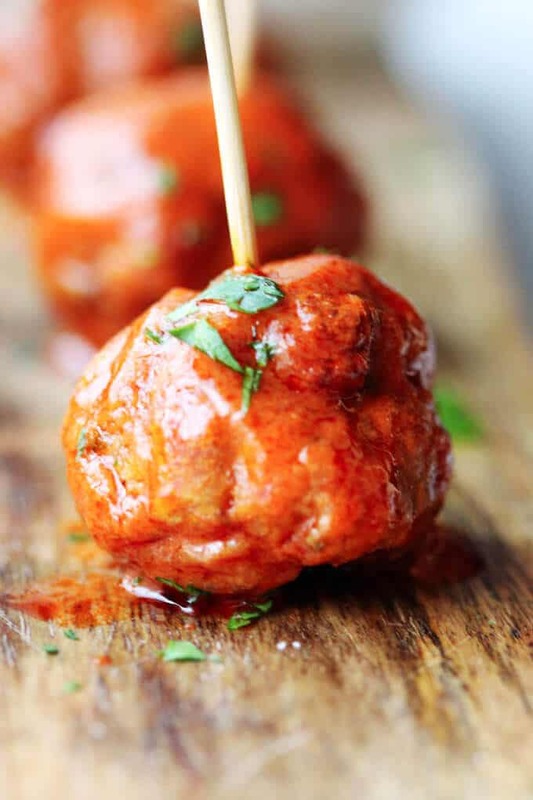 Oh how I love meatballs as appetizers. Thus will be great for game day. A tasty recipe for a dish that sounds sure to please. 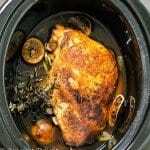 Great for a get together meal, and easy to prepare ahead of time to make things easier for yourself. How adorable are these little guys!!! I’ve take 5!!! Yum!! Absolutely. I love that too. Excellent! Done in 20 minutes and we served them with home made blue cheese dressing and crispy fries. 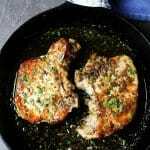 Home run recipe! Thank you so much. I’m so happy you liked it!